Magic Carpet Cleaning in Peckham (SE15) specialises in steam cleaning for both residential and commercial needs. In fact, we have been in this business for several years now. Over the years, our professional carpet cleaners have been striving to come up with a wide range of services that we can offer to our customers. We can use either the latest hot water extraction methods for deep cleaning or dry treatment for sensitive fabrics or very light, refreshing treatment. 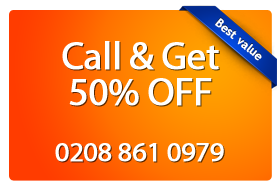 Call our crew on 020 8861 0979 and you can claim your free price cleaning quote with our back office assistants. All of our carpet cleaners are veterans in the cleaning industry. They deliver the fastest and most thorough cleaning services to satisfy the needs of the most demanding clients. So, give our professional team in (SE15) a call and enjoy our quick and effective carpet cleaning services! Talk to our customer care representatives and they will provide you with a free quote as well as help you with your booking arrangements. You can ask them more about our professional cleaning methods, equipment and products. Alternatively, you can book our team via our online form.